A Ugandan civil servant instructed his wife to bury him with a cash amount of 200 million Ugandan shillings (equivalent to $55,000). The money was meant to redeem his soul before God. The 52-year-old Charles Obong until his death was a senior personnel officer at the Ministry of Public Service for a decade (2006 – 2016). 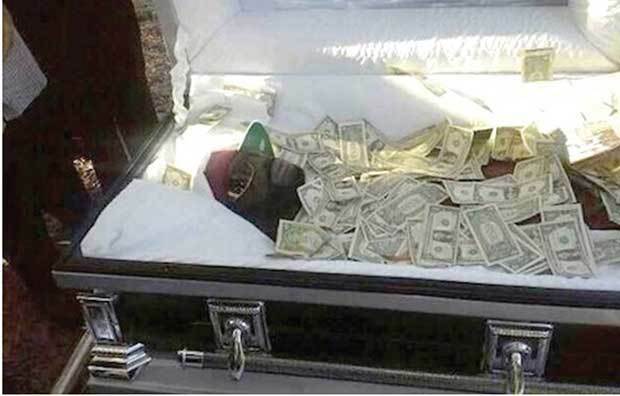 His son-in-law confirmed that his will stated that his wife should deposit a huge amount of money in his coffin. The money was to be given to God on the Day of Judgement as an offertory so that his sins could be forgiven. Uganda’s Daily Monitor news portal reported that he died after a protracted illness and was buried in his ancestral home in the northern Lira district of the country. The portal added that the metallic coffin he was buried in cost 20 million shillings ($5500).